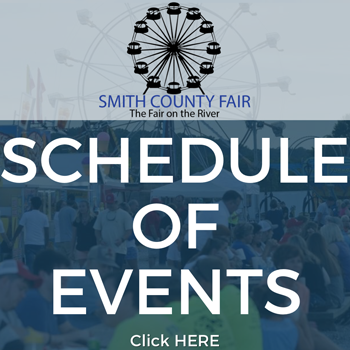 The Mrs. Fairest of the Fair Pageant (ages 25-45) will be held inside the Smith County Ag Center at 4:00 p.m. on Wednesday, July 4, 2018. Entrant must be married and between the age of 25-45. Pageant staff has the right to request proof of age. Resident cannot qualify to compete if she has been convicted of a felony. Contestant may wear semi-formal or formal attire. Contestant will be judged on beauty, poise, and onstage question. Contest must agree to abide by all pageant rules, regulations and must sign release form. Winner will be REQUIRED to attend some fair events and REQUIRED to make appearances during her year of reign. Appearances are at the discretions of the chairperson and/ or executive board member/s. 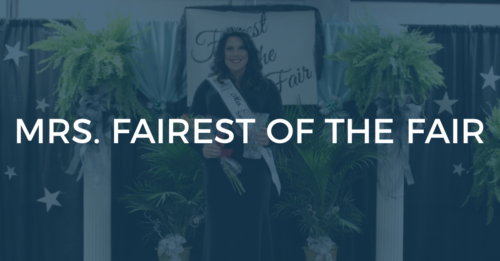 Winner cannot make appearances without the consent of pageant director and all appearances are at the discretion of the pageant director and/or executive board member/s.